What is Calendula and How Is It Used in Natural Health Remedies? What is Calendula, and How Is It Used in Natural Health Remedies? Once you start using herbal remedies and start paying more attention to how they’re made, you’ll start noticing many of the same ingredients used in different ways. 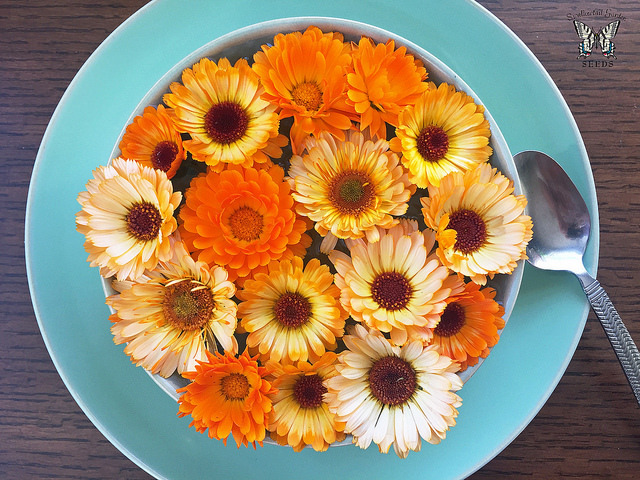 One common herbal remedy ingredient is calendula, which is a plant that’s been used for centuries because of its medicinal and culinary benefits. To help you get to know this herb better, here’s some information about what it is, why it’s beneficial, and how to use it as part of a natural health strategy. It may surprise some people to learn that calendula is a type of marigold, which is a flower widely grown in gardens and yards in a wide range of climates. Calendula originates from the Mediterranean region but now blooms in North America and Asia too. It belongs to the Asteraceae family of plants, has bright orange and yellow flowers, and typically has a long blooming season from early spring to late fall. Calendula has been used by ancient cultures for wound healing, infection prevention, and as an anti-fungal medication. This herb is widely used to treat infections and skin conditions, such as minor sunburns, eczema, psoriasis, and acne. Topical ointments that contain calendula are good to have in a first-aid kit or in the medicine cabinet alongside other topical homeopathics like OliveViate Topical Skin Relief and Bye Bye Burns. What’s great about calendula is that it has natural anti-inflammatory properties, as well as antiviral and antimicrobial components. Naturopath physicians are also known to use calendula to help relieve menstrual pain in women, improve oral health, calm muscle spasms, and heal wounds after injury or surgery. Calendula may also have positive effects on the immune system, internal infections, and detoxification of the body. For herbal remedies, the flower petals of calendula are often dried or used fresh. Natural topical creams are often made with calendula, but this herb can also be mixed into tea to ease stomach discomfort or used as a mouthwash to soothe gum and tooth issues. Calendula is safe and non-toxic with very few side effects reported with use. The flowers of this plant are edible and can actually be eaten in salads and soups as well. Calendula is a plant that’s easy to grow, so consider placing a few plants in your yard or in pots around your home. The best time to pick the flowers and use them is when they’re in full bloom and after any morning dew has evaporated from the petals. Alternatively, you can often find bulk dried flowers and tinctures that are pre-made at herbal stores. While this herb is very safe to use topically and even ingest, it’s still a good idea to bring calendula up with your doctor if you take blood pressure medications or are pregnant or breastfeeding. 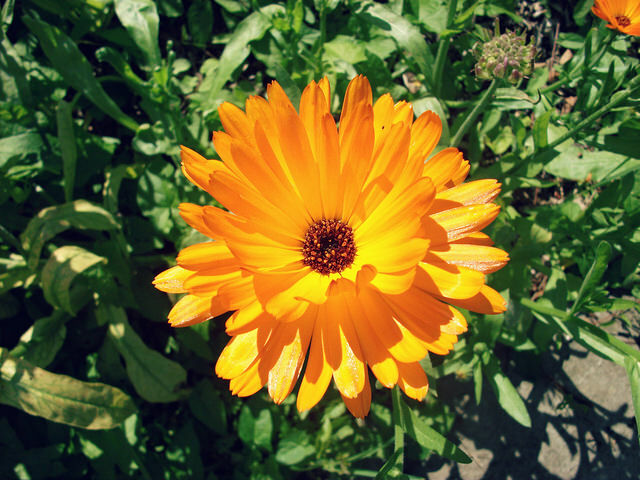 Have you tried calendula in an herbal remedy for medicinal purposes? Share your experience using this herb with us in the comments below!